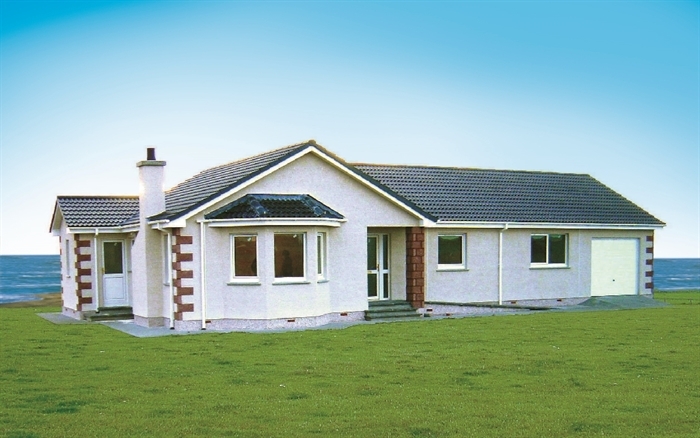 A luxury bungalow sleeping 8 in the Outer Hebrides of Scotland overlooking the Atlantic. This new bungalow, sleeping 8, is on the Island of North Uist in the Outer Hebrides (Western Isles) of Scotland at the edge of a secluded, sandy and protected Atlantic beach. The house has been constructed and fitted-out to STB 5-star self-catering standards. It is ideally located with bird-watching, golf, horse-riding and fishing all available within a few miles. Accommodation consists of 4 bedrooms (2 en-suite; 2 sharing third bathroom), all with TV, large open-plan living room incorporating fully-fitted kitchen and breakfast bar, and a West-facing conservatory with superb sea and sunset views. Satellite HD TV, Blu-Ray & DVD with theatre sound, CD & VCR are installed and full oil-fired central heating is installed throughout plus a real fire in the living room. There is ramped access for the disabled. A cot & highchair are available. Bicycles, fishing rods, golf clubs and BBQ supplied.